A wonderful post dated July 12, 2013 on the Edith Bolling Wilson Museum’s Facebook Page that includes many wonderful short snippets about Edith, her life, and museum artifacts, pictures, and events in Wytheville, Virginia was all the prompting I needed to adapt and expand it. Strong Women and Role Models for Young Girls. How many young girls can claim they descend from Pocahontas? I didn’t know much about my ancestors or my relationships to them when I was a girl, but I do now and I’m very glad that I took the time to learn more. In fact, this is my primary reason for writing these posts–to share the knowledge of our heritage with future generations. To summarize one of my earlier posts written nearly two years ago, Pocahontas was a Virginia Indian notable for her association with the colonial settlement at Jamestown, Virginia. In 1614, Pocahontas married John Rolfe, a tobacco farmer, and gave birth to Thomas Rolfe in 1615. The marriage between John and Pocahontas was the first recorded interracial marriage in American history. Soon after having Thomas, John and Pocahontas left for England where she became somewhat of a celebrity. At age 22, Pocahontas, became gravely ill and died. It was Thomas, her only child that began the lineage of Pocahontas descendants, including the First Families of Virginia, First Ladies Edith Wilson and Nancy Reagan, and astronomer Percival Lowell. Mrs. Wilson, too, was very proud of her heritage. She was the 9th generation descendant of Pocahontas, and her great-great grandmother was also sister to Thomas Jefferson. I’m wondering if Edith’s large, poor southern family and being the seventh of eleven children born to William Holcombe Bolling and Sarah “Sally” Spiers White was the impetus for her becoming a strong woman and even a secret president (as she cared for her ailing husband, President Woodrow Wilson)? Below is an excerpt from Edith Bolling Wilson’s book, My Memoirs, published in 1935 by the Bobbs-Merrill Company. I understand used copies of this book may be purchased from the Edith Bolling Wilson Foundation by emailing them at: info@edithbollingwilson.org. 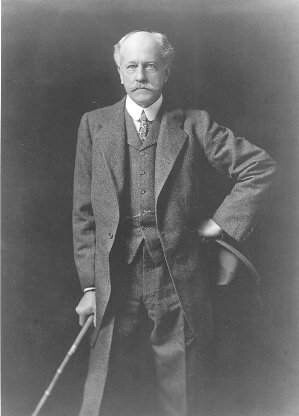 John Bolling and Mary Kennon – son, John Bolling, Jr.
Archibald Bolling and Catherine Payne – son, Archibald Bolling Jr. Hours: Tuesday – Saturday 10:00 A.M. – 4:00 P.M.
My Aunt is very much into genealogy and discovered that our family is also a direct descendent of Pocahontas! I have the genealogical papers that I wish I could have included in this post as it is fascinating. It includes birth dates, marriage dates and dates of death. Truly remarkable documentation. My mother’s maiden name was Boling, and she was told from a young age that they were descendants of Pocahontas. That makes me very proud. This is awesome. I don’t know how direct the link is in my family tree. But it does include William Tapp and William Taptico along with Robert Lee. Genealogy is amazing stuff! I’ve been doing this since 1980 when everything was very manual and tedious. I still have a 2nd great grandfather brick wall that I haven’t been able to tear down, but I keep hoping. Thanks for reading and letting me know that you enjoyed this post. If you haven’t yet done so, I would suggest that you and/or your male relatives do the DNA test. There was also Judith Cary Bell Gist Scott my 5th Great Grandmother who was Kentucky’s 4th (I believe) First Lady to the Governor-General Charles Scott. Elected 1808 She is decended from the Red Bolling line. Pocahantas and John Rolfe are my direct ancestors. I am descended from the Red Bollings. 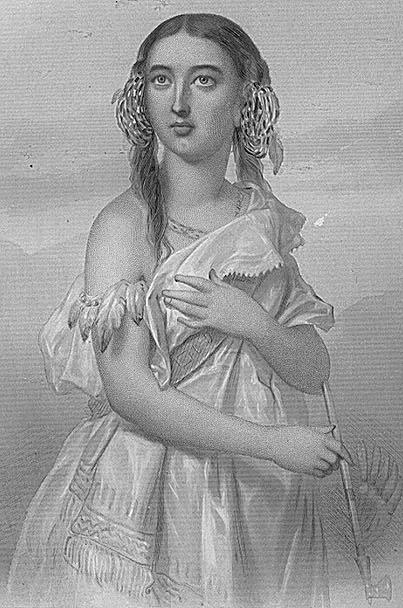 Thank you for this current and interesting link to yet another article about my ancestors Pocahontas and John Rolfe, despite the context in which it is written. This post tells me that theatrical Trump couldn’t find enough living people or races to further denigrate. So he reached back to yet an earlier era of which he probably knows little–that of the 16th and 17th Centuries when primarily British immigrants were founding the first colonies of what became known as our great United States of America–and specifically to the first established colony–Jamestown, Virginia. It might serve Trump well to visit it–On no, better yet, let’s not tell him about it. Next thing we know, he might build another Trump Tower or Golf Course, then I’d really be brought down. I was enjoying reading about your being a direct descendant to Pocahontas up until you left this politically charged reply that clearly shows a lack of respect for our current president. What does this have to do with your ancestry ? Maybe I’m missing something. You know what, when you’re right, you’re right. I just re-read my reply. I almost always steer clear of anything political–, especially in my blog and post. I cannot tell you what was going on in my world at the time I responded. I love our country and always want the best for all of its people. My apologies. I also enjoyed this post we were always told we were descendents also. My great grandmother was here cousin and supoposdly adopted by a white family. Her last name Boling/. My grandparents left me with an Ancestry Chart as they shared the passion for and deep commitment to their unified lineage. That chart maid my direct descendancy to John Rolfe and Pocahontas. It was well documented, typed and laid out (my grandfather was a Judge in Georgia). I am fascinated by all early descendants, however, 15 of which fought in American Revolution. I am also a decendant of Pocahantas she is my 11th great grandmother. I recently went to ancestry I guess we would be the red Bollings. My grandmother told my daughter when she was in school we were related to Pocahantas her teacher told her that was impossible. I now know he was wrong. How many young girls can claim they descend from Pocahontas you asked? Well, I am and so is my mother, Scarlett Stahl. 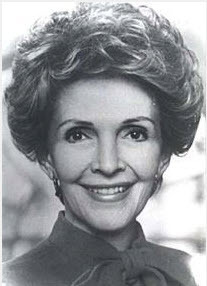 It is interesting as I didn’t know the Nancy Reagan was part of the family. Thank you for sharing your comments. I always welcome input and feedback from my readers. Happy New Year! I really enjoyed this post. The museum would be a very interesting place to visit.